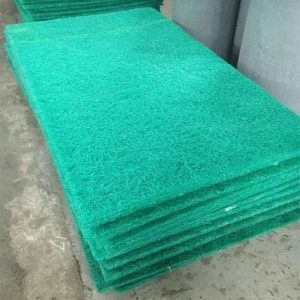 Cooling tower water silencer pads is Professional used in cooling tower for the treatment of water noise, it is the key components of ultra-quiet cooling tower works: installed in the pool above the water, the cooling tower water drops into the blanket , the sound significantly reduced into the water. 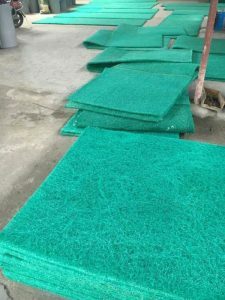 Nylon plastic: also known as muffler pad, is the cooling tower noise muffler ideal material, the main features are noise reduction, water splash, acid and so on. 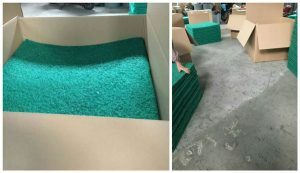 The reason why noise blanket products have a good noise reduction effect, mainly because the material used by a large number of interconnected, by the table and in the structure of the three-dimensional network of cellular porous structure, the structure of the material is not only Internationally recognized good sound-absorbing material, but also has good water resistance, toughness, easy to clean and other fine features.